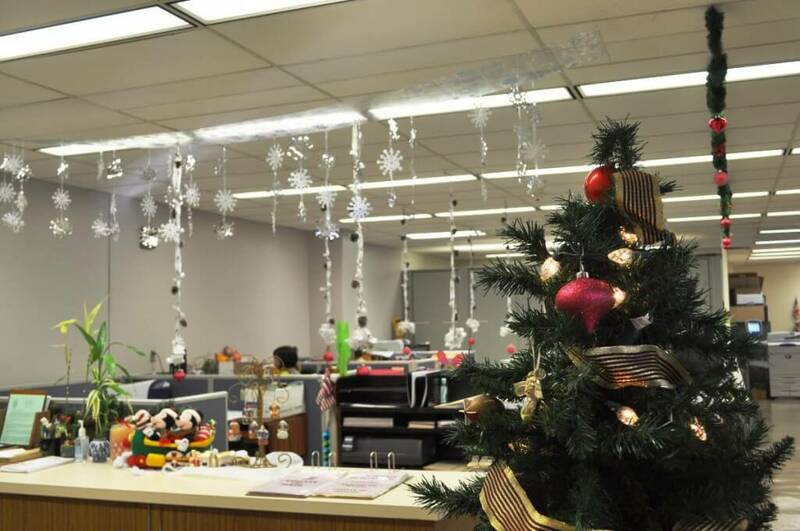 Our work place should be our priority because it serves us with the support that we need in order to lead a good life. 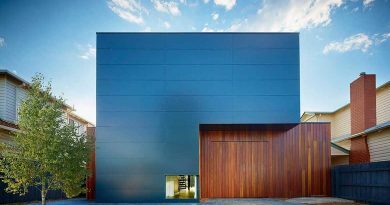 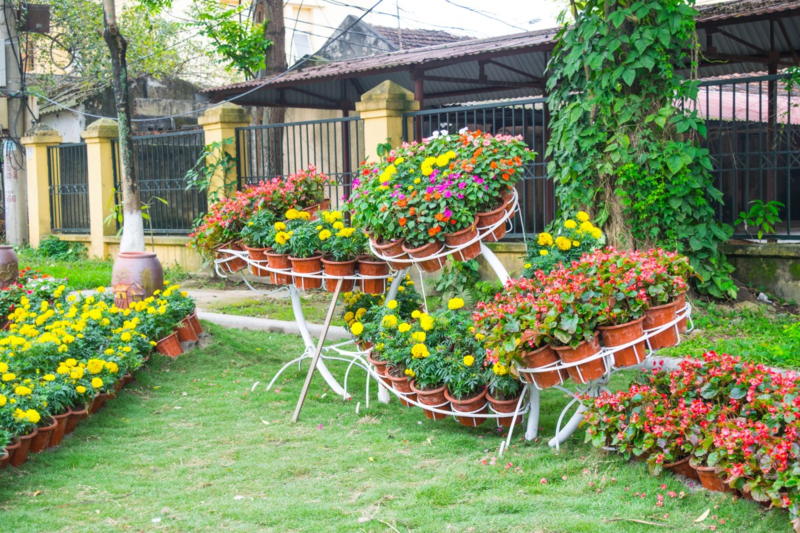 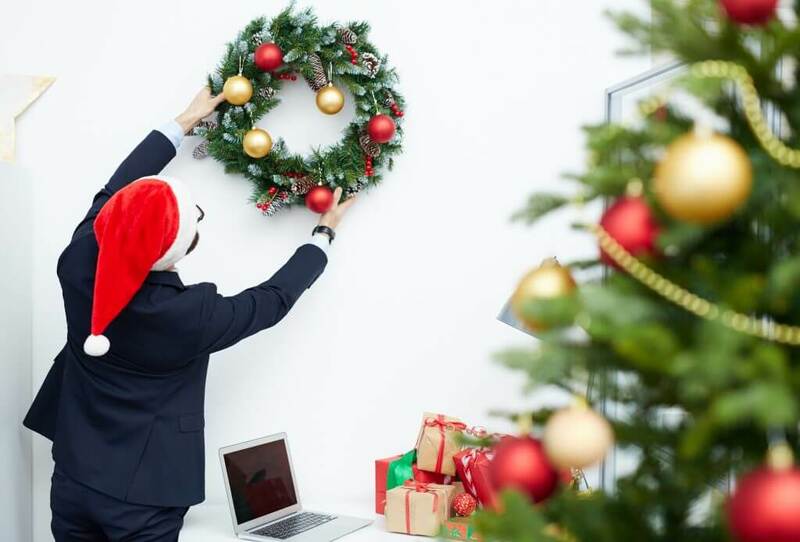 So just decorating your home on the occasion of Christmas is not enough your office also needs the same kind of makeover in order to be festive ready. 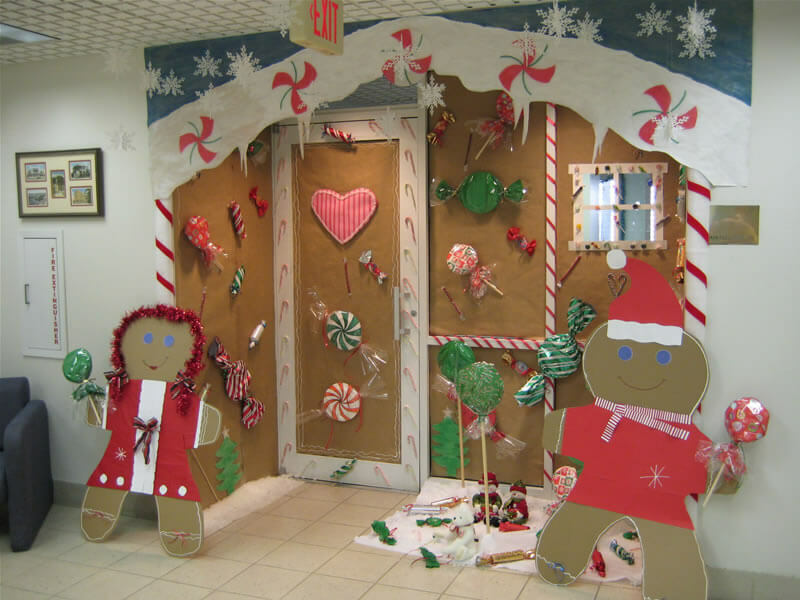 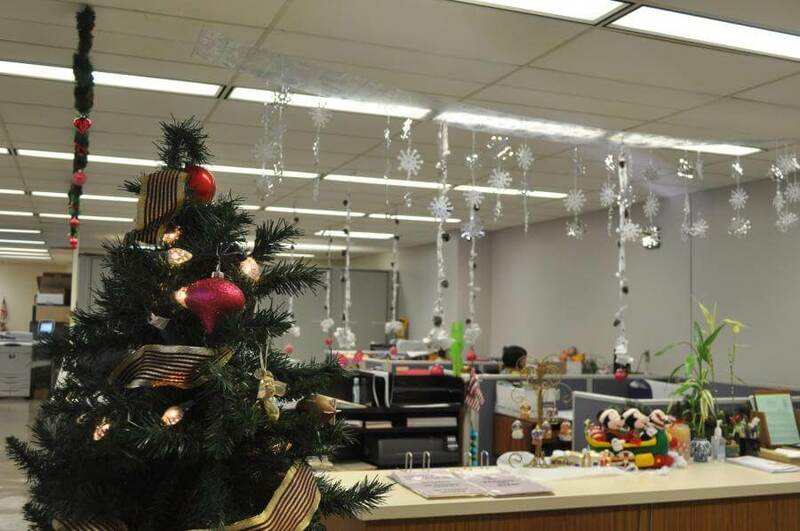 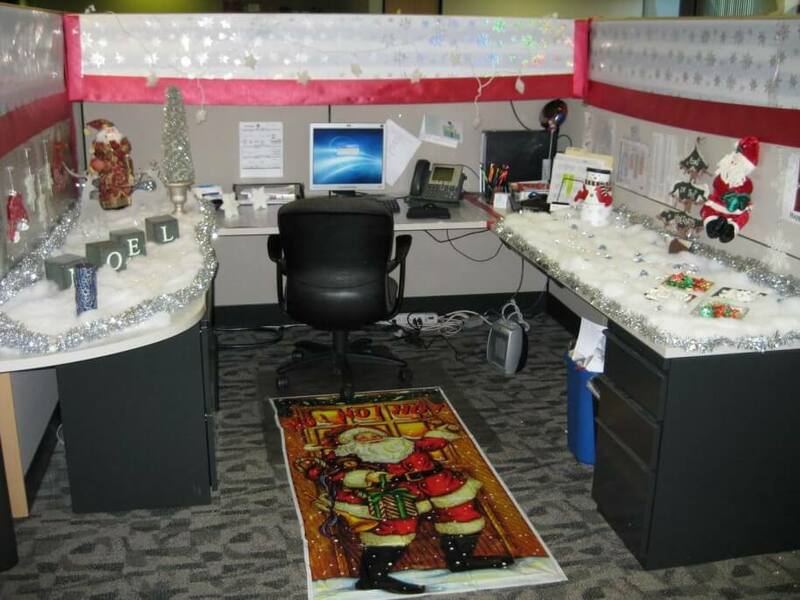 If you are wondering about how you can decorate your office in this Christmas then here are some best office Christmas decorations that you can do in your office. 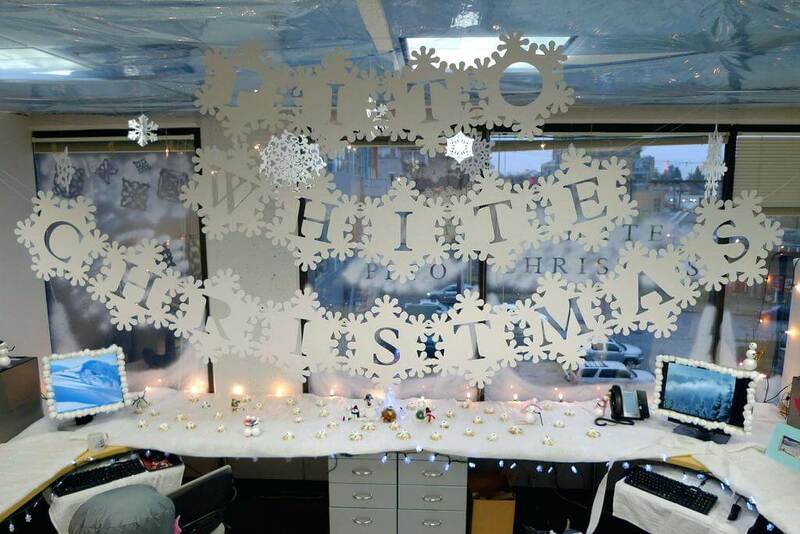 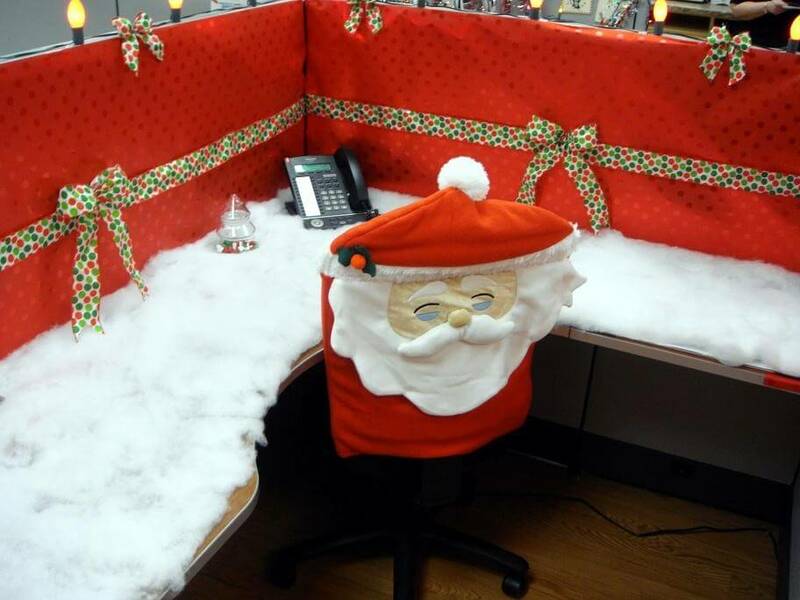 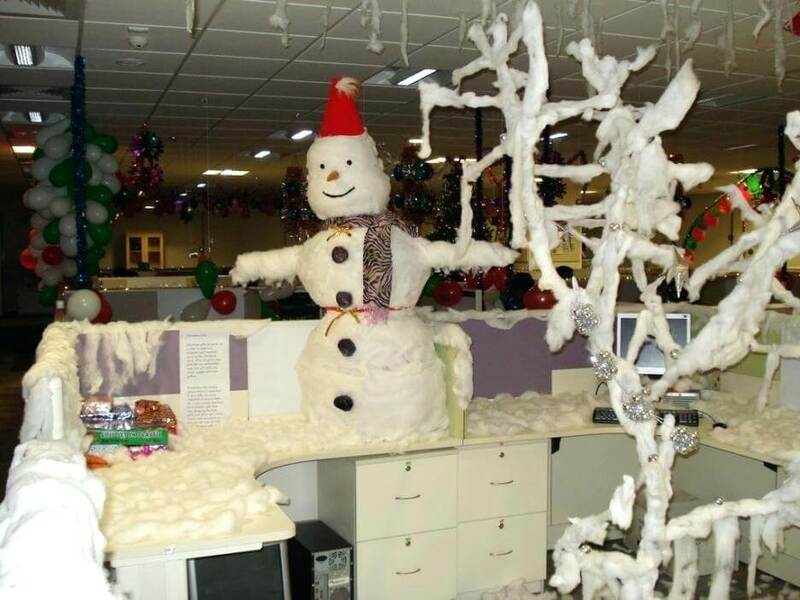 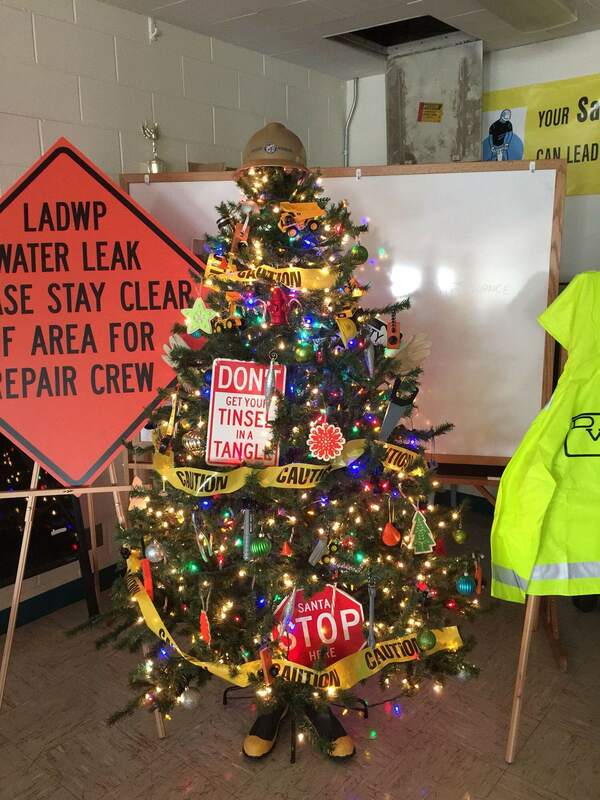 Santa’s workshop: this is one of the best decorations that you can have in your office and this decoration would make your employee love you even more. 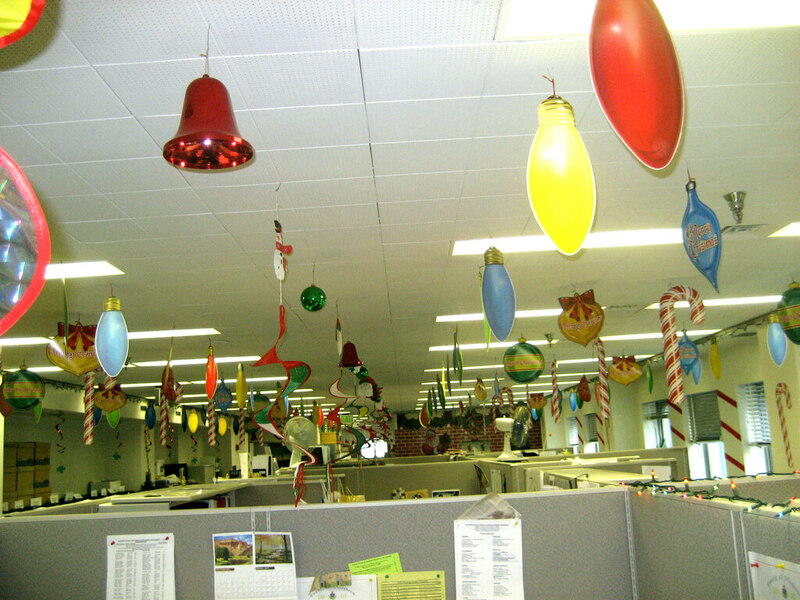 In this Christmas decor you can have some Christmas clowns or Santa dolls and paste your employee’s face in place of the clown or Santa. 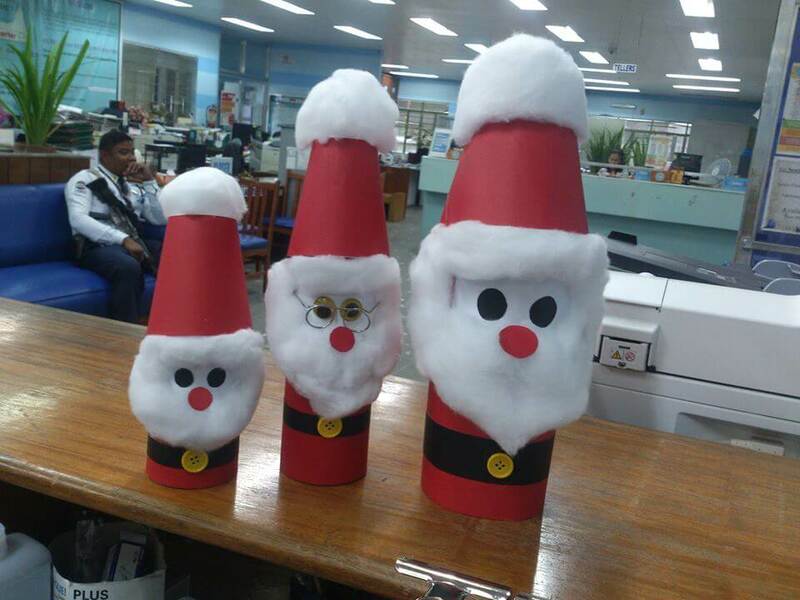 To complete it place one small Santa in middle holding a paper which says merry Christmas. 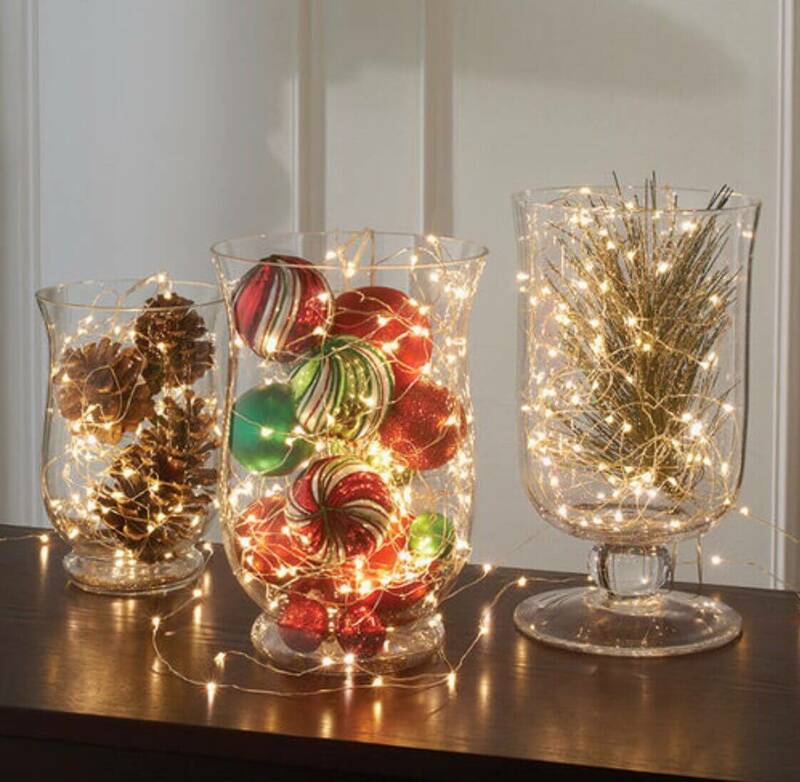 Keep everything in a line one after the other and place it either on desk or hang it somewhere n the reception so that everyone could see this. 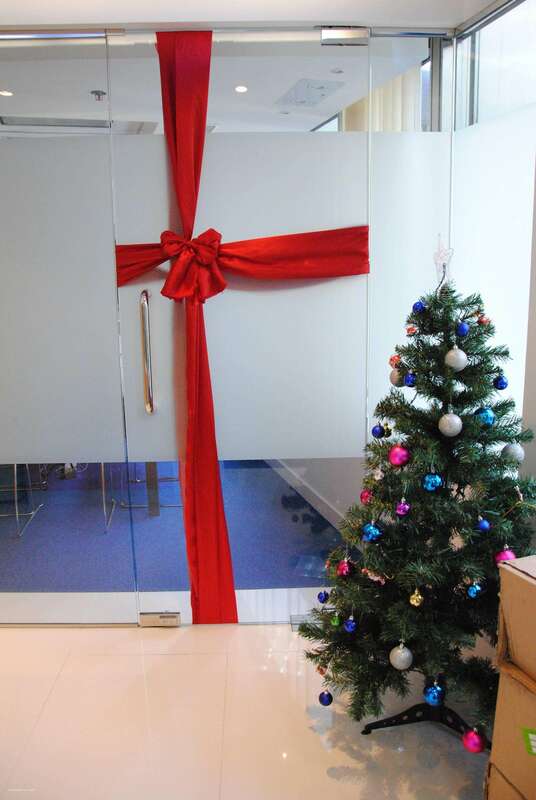 Grinch Christmas door décor is simple but is enough to give your office a Christmas makeover and honestly this can be done complete by yourself, all you need to make this a red as well as green velvet paper to make Santa’s hand and add some cotton in the edges of the red sleeves then attach a hand drawn Christmas ball in the hand and ad some decorated Christmas tree leaves on the door and you are done. 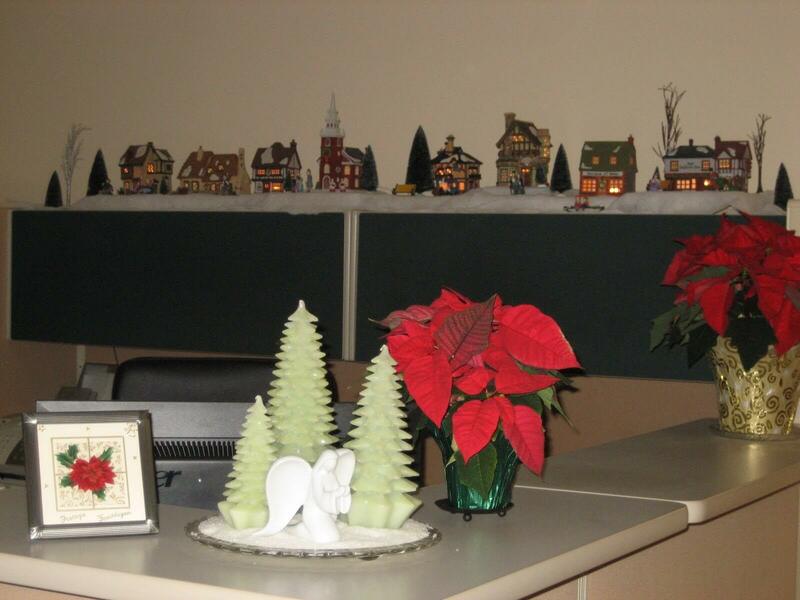 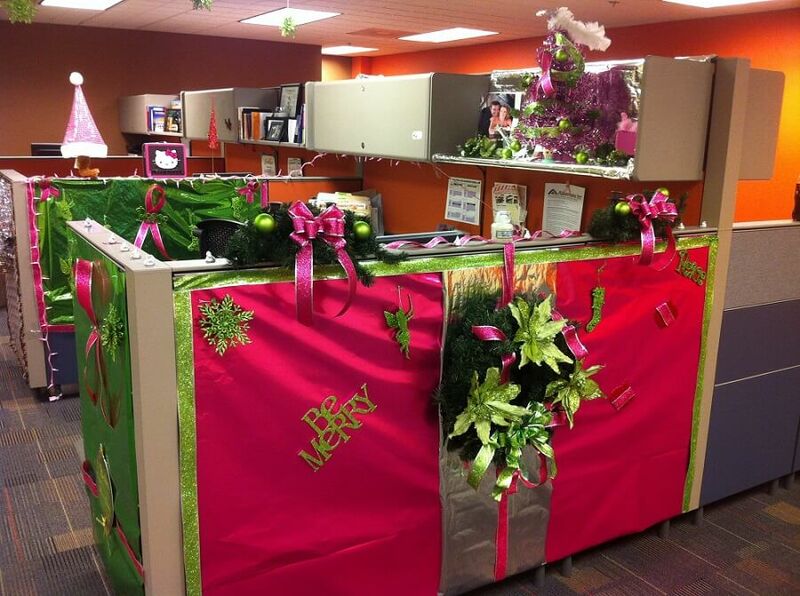 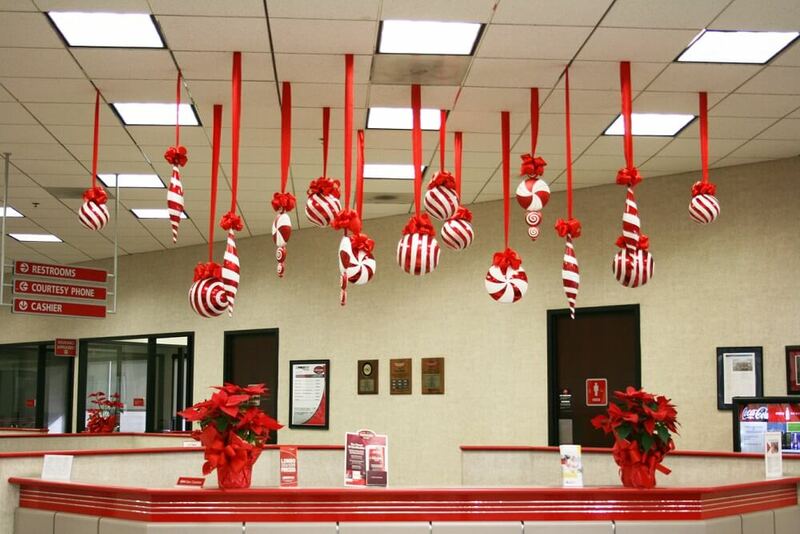 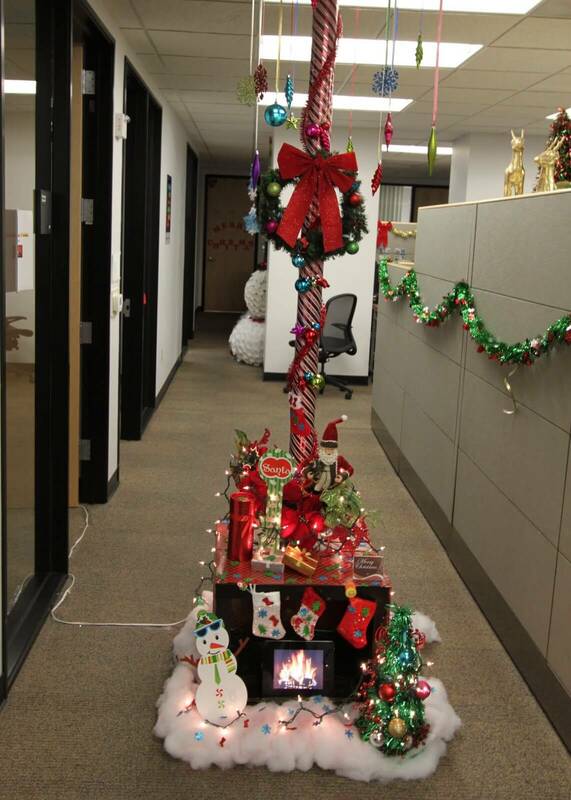 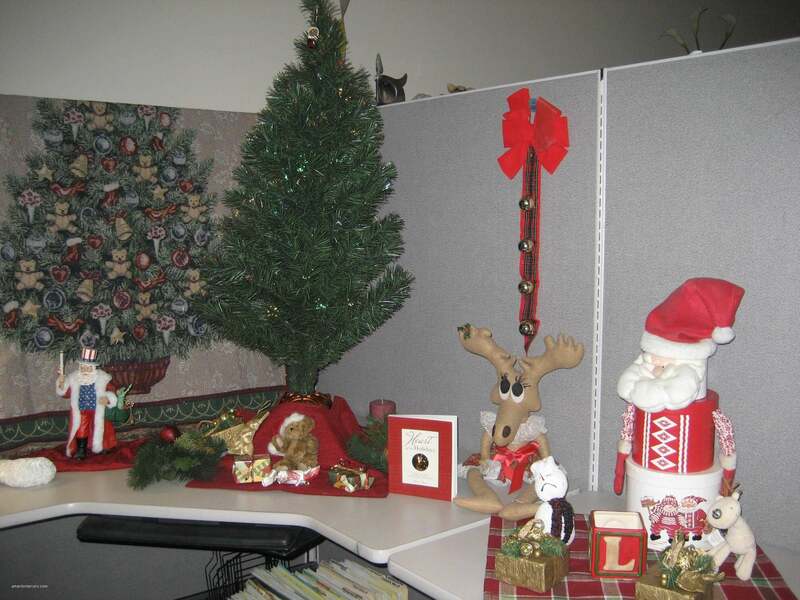 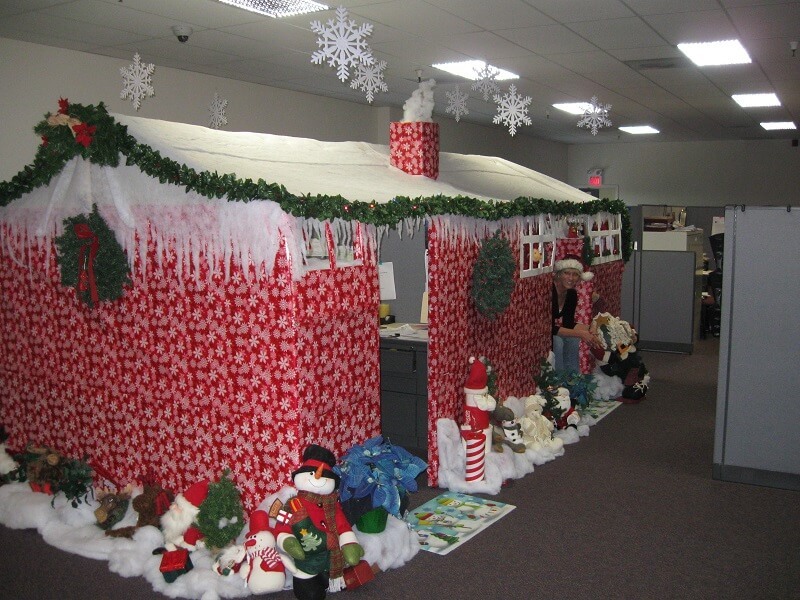 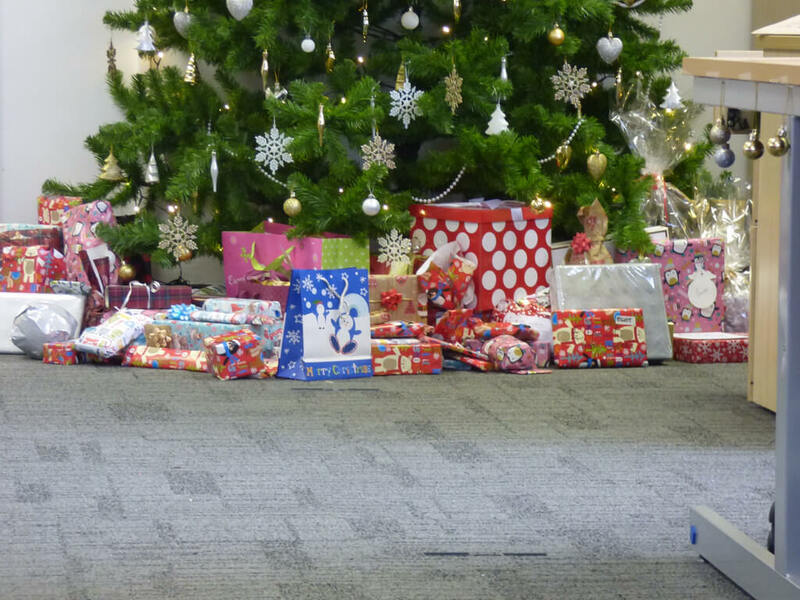 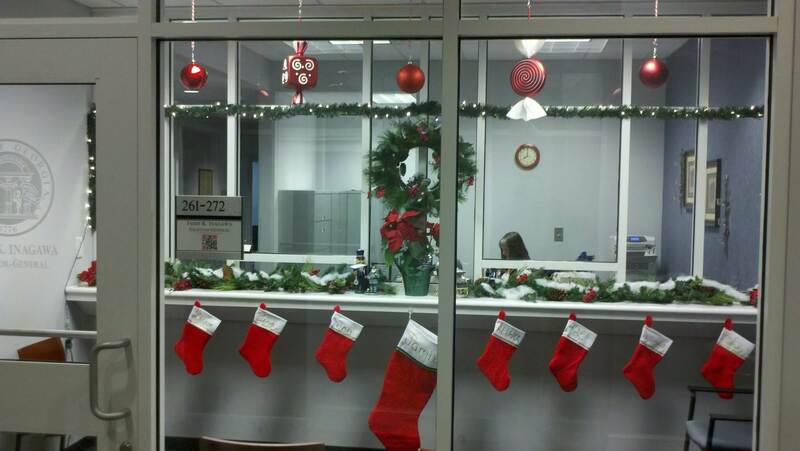 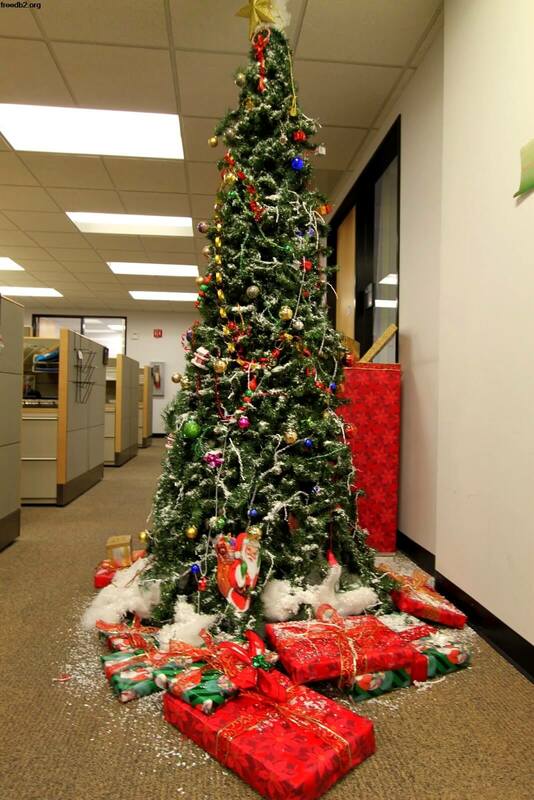 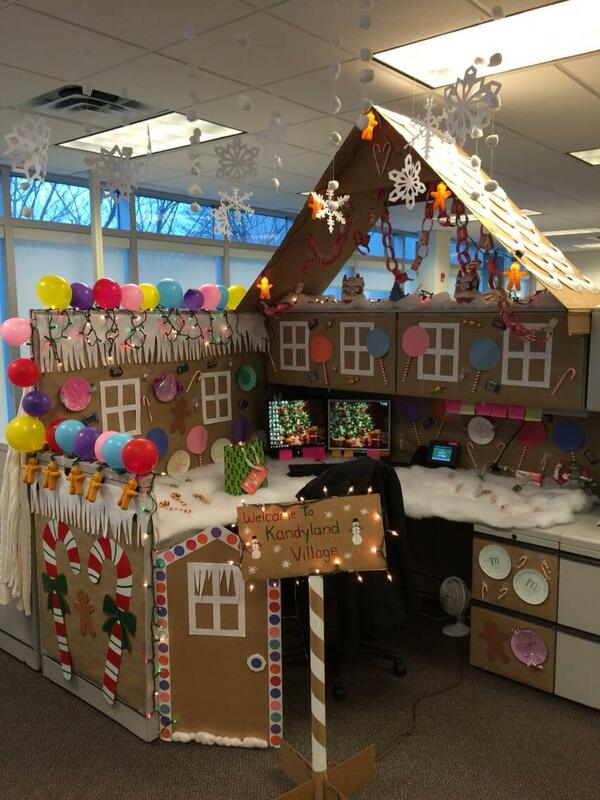 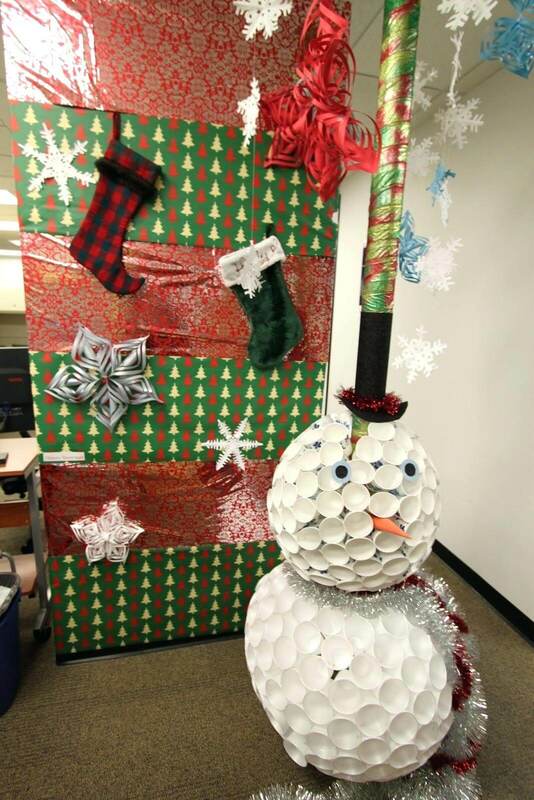 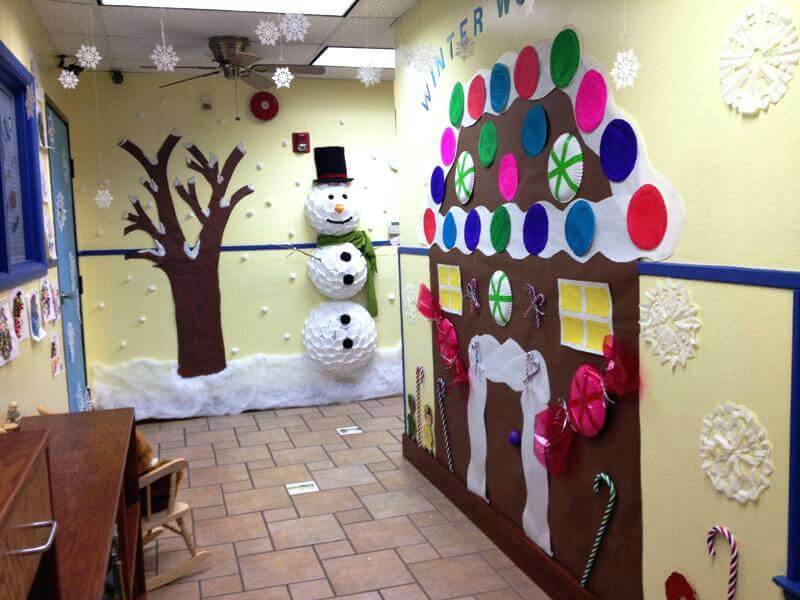 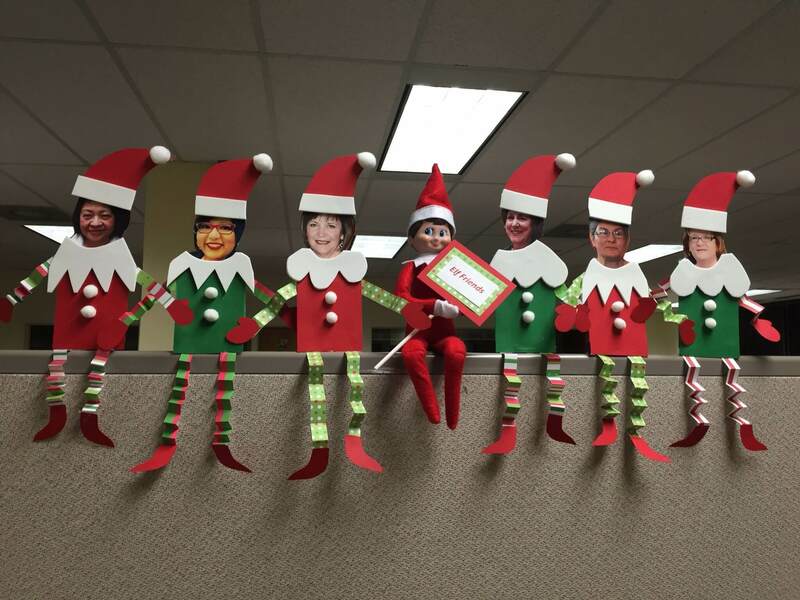 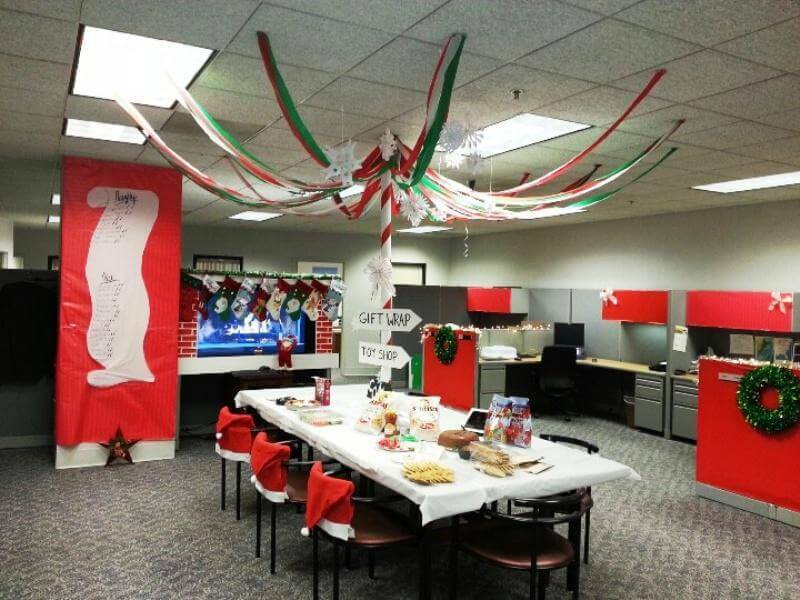 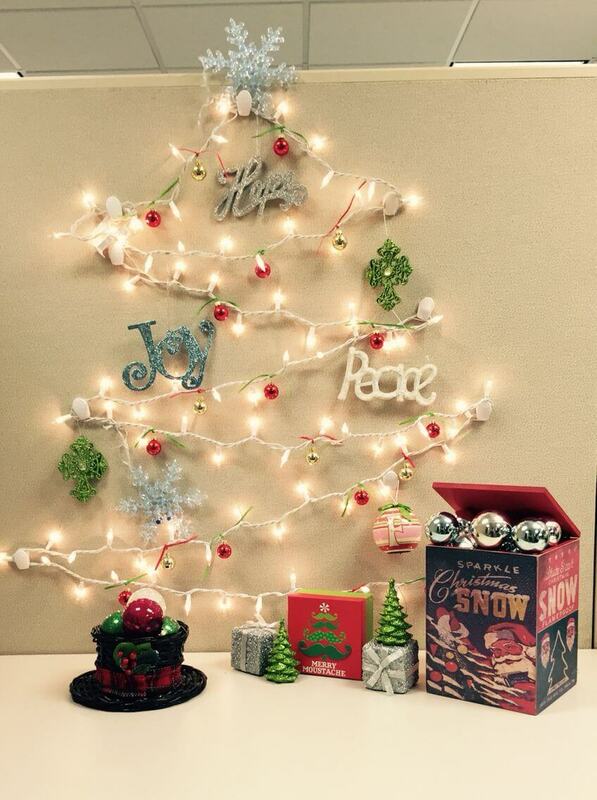 These were few office Christmas decorations ideas that you can apply to make your office Christmas ready.